Kicking off his election campaign in West Bengal at Siliguri Prime Minister Narendra Modi launched a two-pronged attack on West Bengal Chief Minister Mamata Banerjee. 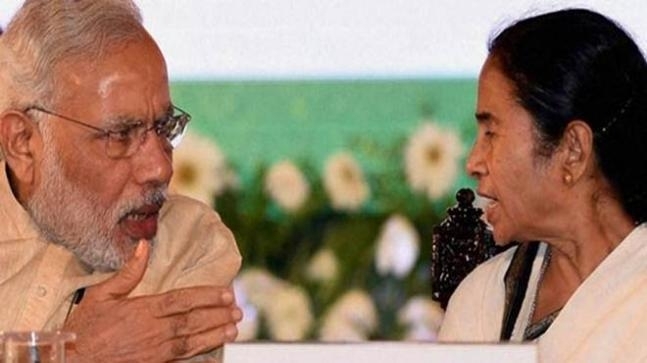 TMC supremo Mamata Banerjee is a "speedbreaker" in the path of West Bengal's development, Prime Minister Narendra Modi said Wednesday, insisting she has to go to make way for the betterment of the state. Claiming that Banerjee has put a spanner in several central schemes for the uplift of the poor, Modi said "speedbreaker Didi" has not allowed people of Bengal to benefit from Ayushman Bharat scheme. Reacting on it, West Bengal chief minister Mamata Banerjee during her public meeting in Coochbehar attacked PM Modi by referring to him as 'expiry babu'. "Today at Siliguri you mentioned our government has done nothing for the poor. What have you done?" she said.